In 2019, Hickory Museum of Art will be celebrating the 75th Anniversary of its founding in 1944. In fact, because of the excitement of this milestone, the celebration already started this summer! The unveiling of a new three-year strategic plan at the 2018 annual meeting in June kicked off the festivities, followed by the opening of the large-scale Blow Up: Inflatable Contemporary Art exhibition in the Coe Gallery and the intimate show in the Whitener Gallery of Paul Whitener’s correspondence with the artists of some of the earliest artwork he acquired for the museum. The 75th Anniversary festivities will include a range of exhibits, big and small, along with events for everyone, classes, and programs. A very different major exhibit will follow Blow Up in the Coe Gallery in November, of works by the renowned early 20th century painter Elliott Daingerfield (1859-1932). Daingerfield maintained summer homes in Blowing Rock with his family for most of his adult life; and his painting Twilight is likely the Blue Ridge Mountain view from one of those homes. The first of its kind to soley focus on Daingerfield’s engagement with Grandfather Mountain and the Grand Canyon, his exhibit will feature a mix of his works owned by HMA and borrowed from collectors and museums including North Carolina Museum of Art in Raleigh, Morris Museum of Art in Augusta, GA, the Johnson Collection in Spartanburg, SC, and Blowing Rock’s BRAHM. This exhibition in turn will be followed in late April 2019 by a multiple-artist show of the Blue Ridge Realists who are celebrating the 50th anniversary of their own artistic movement in North Carolina. Paul Whitener will be honored as HMA’s own Blue Ridge Realist. Other of HMA’s galleries will feature local artists such as Asheville’s Connie Bostic whose paintings are currently on display; and then beginning in November, Harold Humphrey’s stone carved sculptures. In January, Wes and Rachelle Siegrist’s Exquisite Miniatures will fill the Shuford Gallery with paintings so tiny that to be seen properly will require magnifying glasses (HMA will provide some), yet are so precisely detailed that at less than 9 square inches they seem more like small photographs. In March and April 2019 the 72nd Annual Paul Whitener Student Art Show will fill the Shuford Gallery with the always amazingly wonderful art by students from area schools, elementary through high school. This is a show that annually reinforces Paul’s conviction that early support through visibility encourages the growth of artistic talent, even as it brings family members and other supporters to the museum who might not otherwise visit. The first big event during the anniversary celebration was the outdoor family funfest BlowOUT on August 18th. This will be followed by three annual events. Angels of the Arts Guild fundraising art auction on November 17th at the South Moretz Mill. On February 9th 2019, in spectacular celebration of the February day in 1944 that HMA was officially founded, the members-only 75th Anniversary Black Tie Gala festivities will swirl amidst Daingerfield’s magnificent works in the Coe Gallery. And, as always, classes for all ages are offered year-round, including the ever-popular week-long summer camps. Some classes will tie in with other things going on at HMA, while others are stand-alone repeat successes. So, mark your calendars! To support all this wonderfulness and so much more, HMA’s Annual Fund campaign Light up the Vision will kick off on October 15th. 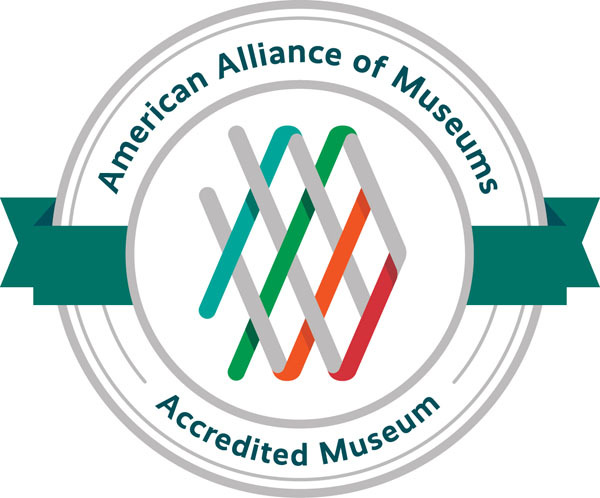 As the campaign’s name suggests, contributions will help illuminate HMA’s vision and future, paving the way for the next 75 years of innovative and community-centered exhibits and events. For ongoing specifics about these and other exhibits, events, classes and programs throughout the celebratory months, visit HMA’s website often. During that same eighteen months, HMA’s art blog will feature interwoven stories about the museum’s historical people and events, about its present adventures, and about its ambitions for the future. You are exploring that blog right now! This post is # 10 of the 75 stories to celebrate HMA's 75 years.